It might be hard to hear this, but ladies, squatting is the BEST for us! And honestly we can rock the squat because we have great leg muscles! Think about how many times we bend down to pick up the clothes off the floor that our husbands just throw off and leave. Think about the toys we pick up. Or picking up our kids. Getting out of a chair, car, going to the bathroom. If I had a penny for every squat I have to do a day I would have a whole lot of spending money right now! Just because we do a "squat" to pick something up everyday doesn't mean we are doing it right. Often times I catch myself and remind myself to, keep my knees from crossing in front of the toes. Take time out of your day to do some squats with the right form and technique to help your body be able to do it all the more easier and to help avoid injury down the line. Squatting is such a great leg builder though. A proper squat with good range of motion is great for your quads, hamstrings and glutes (drop it till it's hot!). 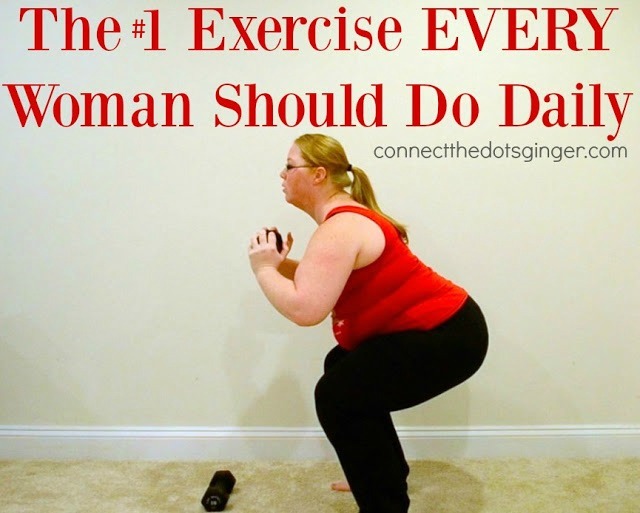 Do it right and it's also good for your knees, hip and posture. Train it to get some serious leg muscles going on that look fabulous on anyone! Who doesn't want that muscle line visible on the side of your thigh?!? Easier and the first step to building up your squats. No weights, all you do is just squat. Keeping your hands in front of your heart or out front for balance. Keep the weight in your heels. For a beginner start out slow with smaller reps up to 12. As you get stronger increase the number you do up to 30. Once you get up to doing 30 body weight squats 3 times a day you can comfortably start using some weights to help provide yourself with more resistance. Again start with light weights and a smaller number of reps in the beginning and build from there. And as you get stronger you will increase the pounds of weights to use and your number of reps per set! You can change up your squats by pulsing them slightly at the lowest point of the squat. Or holding the squat for solid 10 seconds. You wanna feel that burn in your legs. This will do that for you! This is helping to build up your muscle! The cream of the crop right here. If you want to get some serious tone on your legs, you can max out your weights using a barbell. But, you have to have proper form and technique to be able to perform this as it you can get injured very easily. Build up to this. Have someone spot you at the gym for safety. But seriously nothing makes you feel more like a badass than squatting a barbell with some serious weight on it!